What separates truly great leaders from ordinary executives? 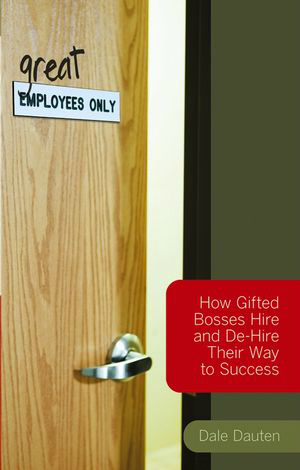 In Great Employees Only, Dale Dauten reveals exactly how the people he calls “gifted bosses” continually upgrade their teams, showing you how to emulate their tactics to achieve stunning success. Dauten writes two newspaper columns nationally syndicated by King Features and is the author of The Gifted Boss. He headed a marketing research firm whose clients include McDonald’s, Procter & Gamble, and 3M. And as the founder of The Innovator’s Lab, he has done creativity work with such organizations as Georgia-Pacific, Caterpillar, General Dynamics, and NASA.